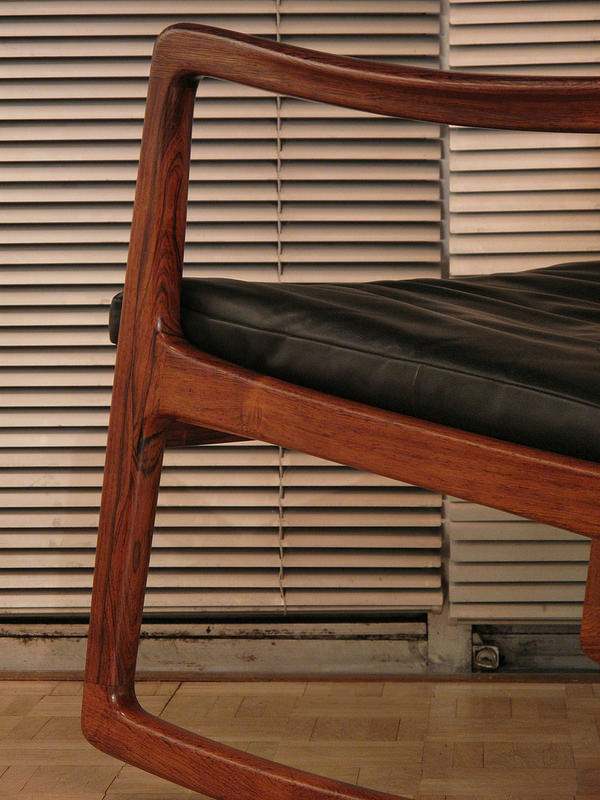 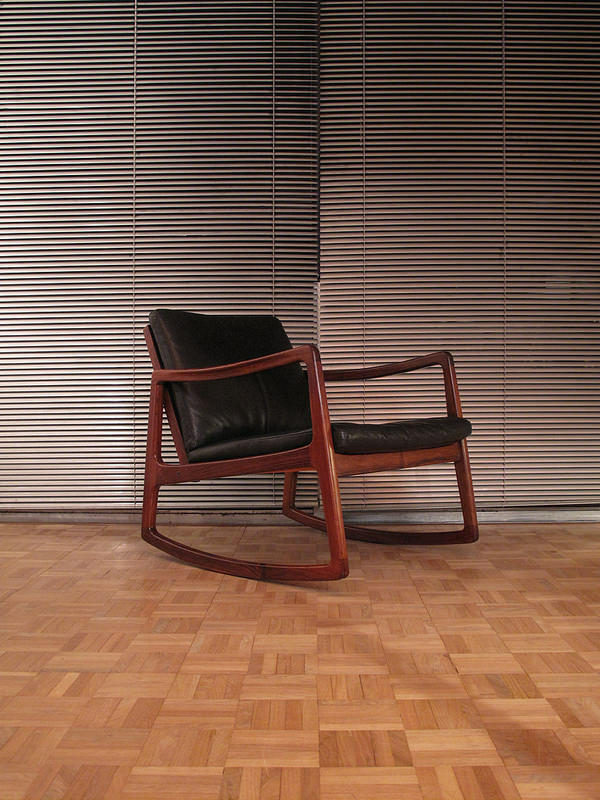 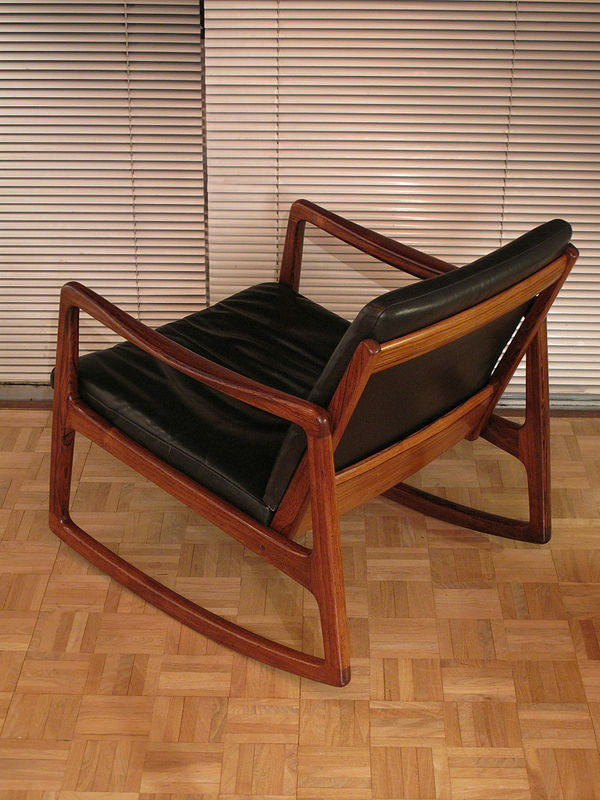 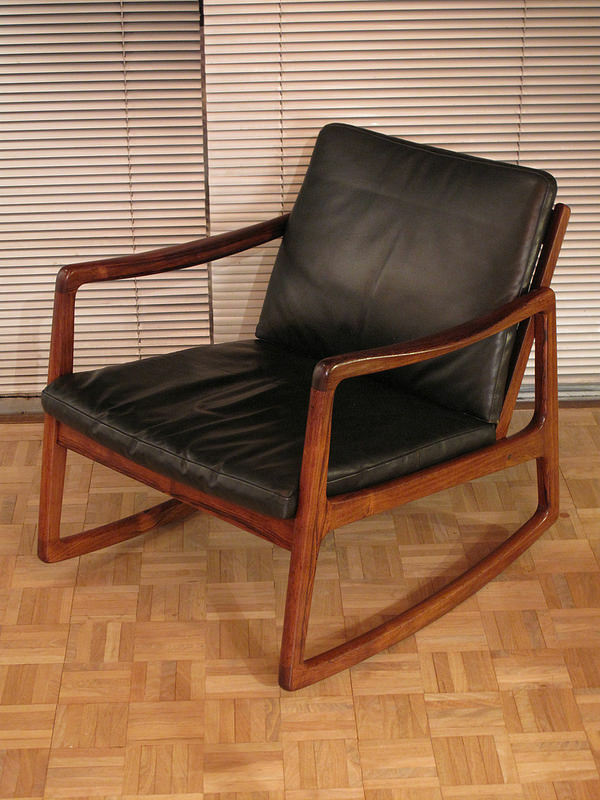 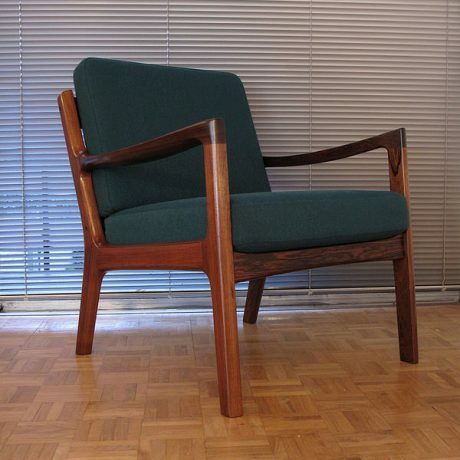 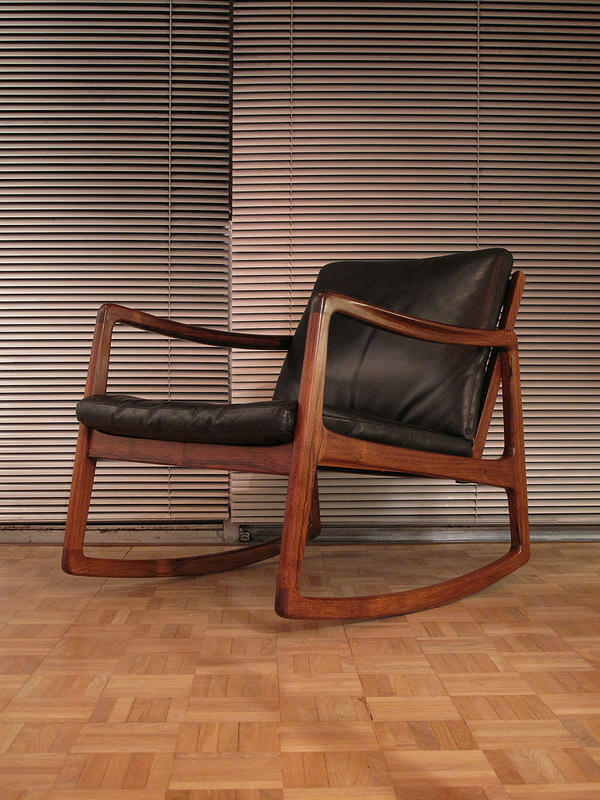 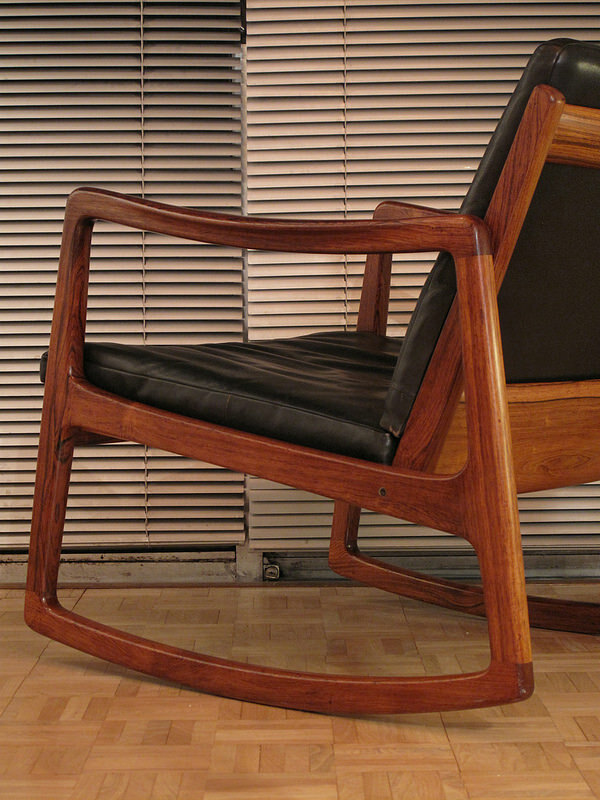 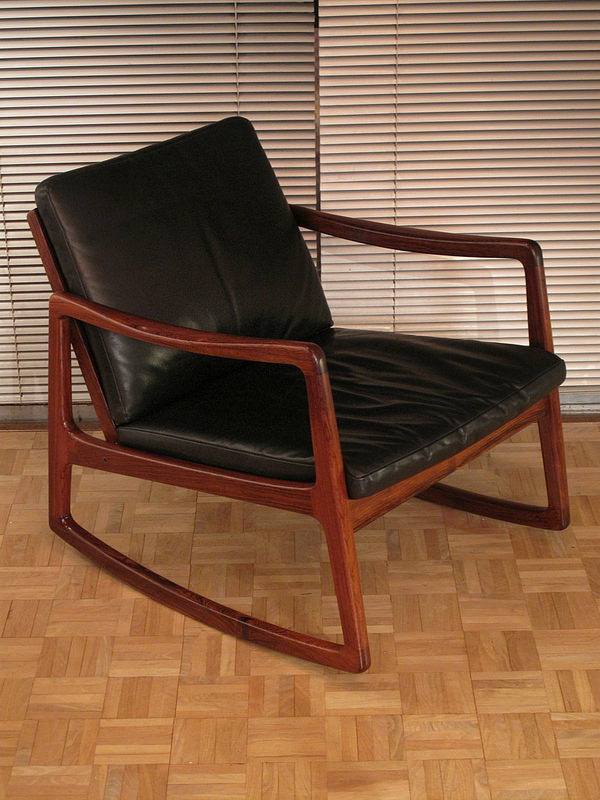 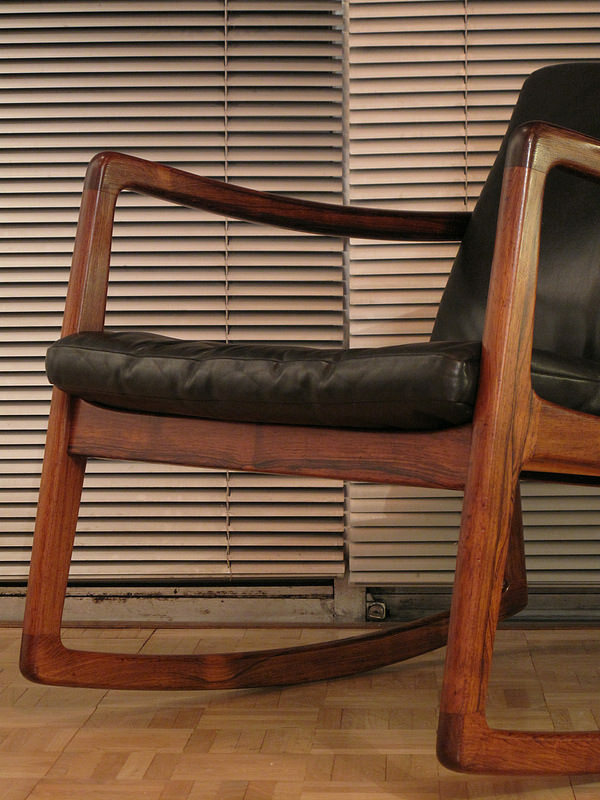 Only the second example we have had in nearly ten years these rosewood Model 120 chairs are very hard to find. 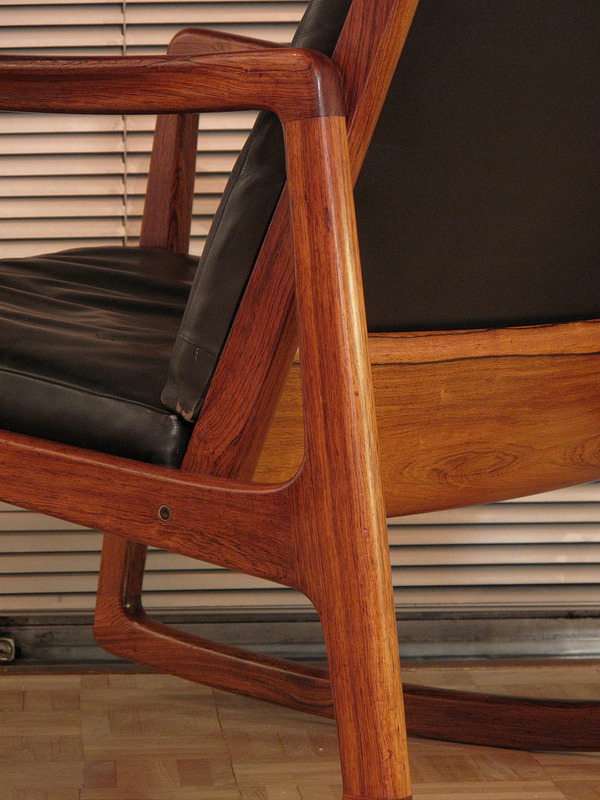 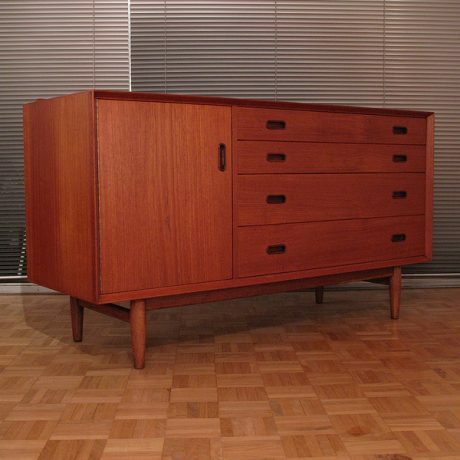 Designed by Professor Ole Wanscher in 1952 the minimal fluid lines of the frame make this one of our all time favourite Danish Mid Century designs. 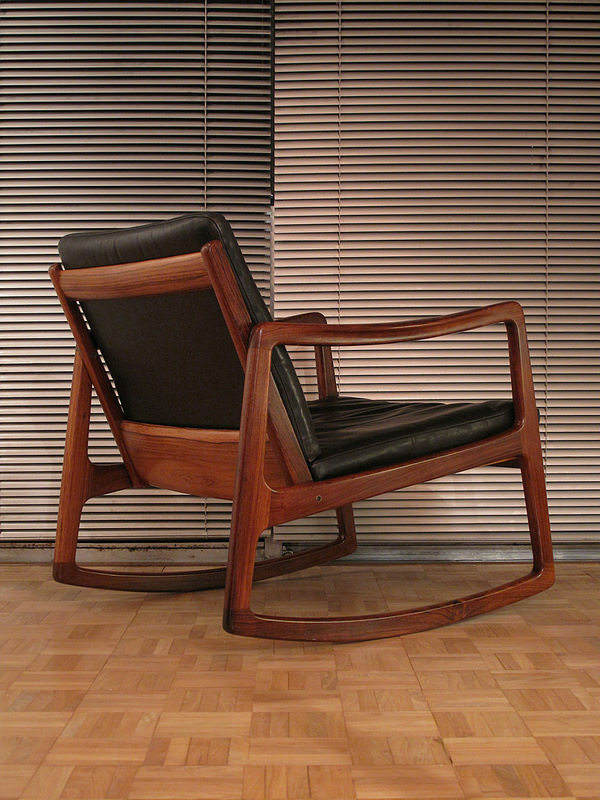 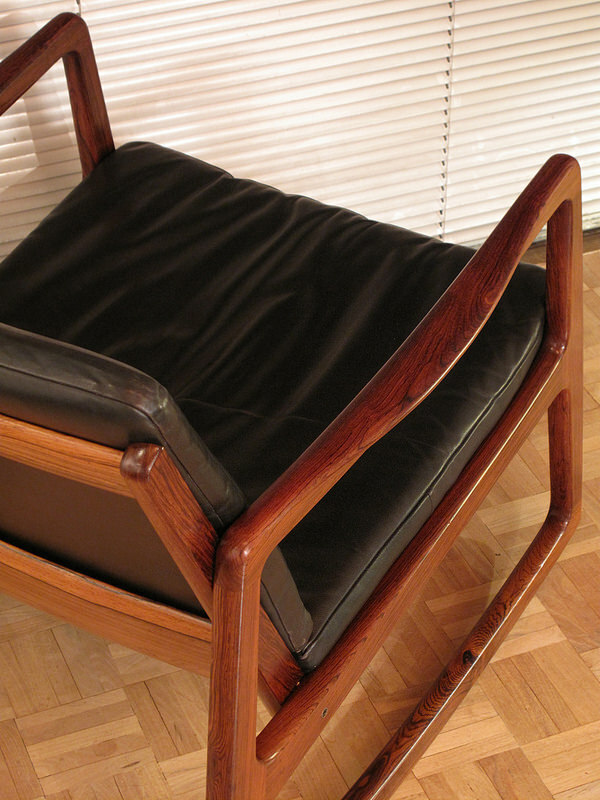 The chair was awarded a good design award from The Museum Of Modern Art, New York. 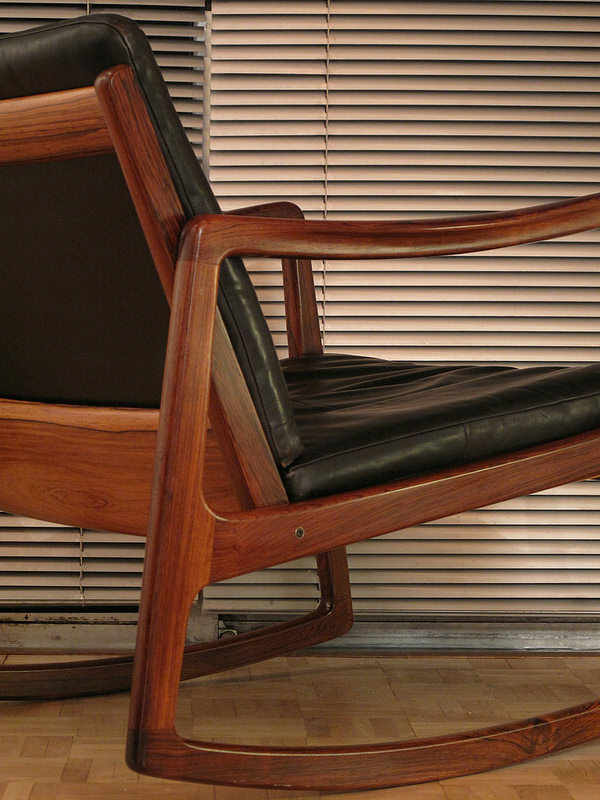 An incredibly comfortable design with this example featuring vintage black leather cushions.